‘Innovation’ and ‘Support’ aren’t words usually used together, until now. 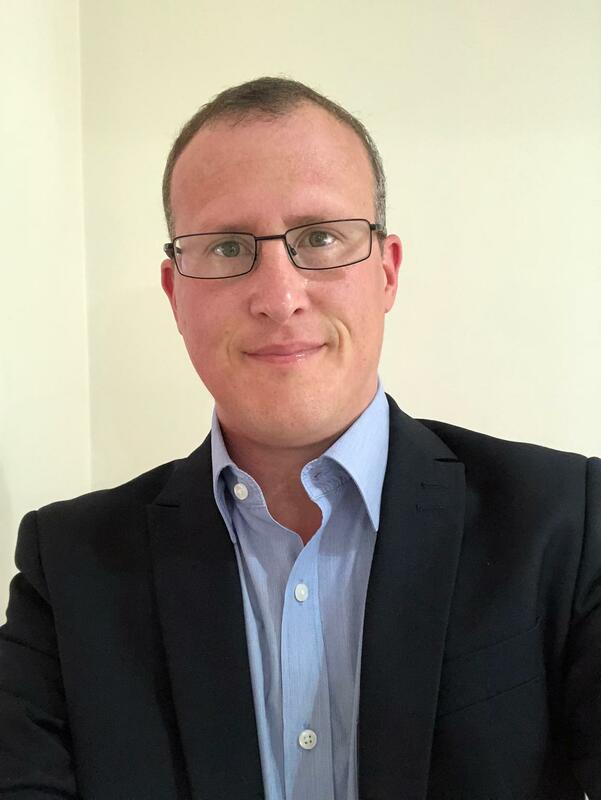 Our Director of SAP Support Services, Stuart Diamond, explains how support can be innovative, and why businesses don’t have to accept the ‘traditional’ approach. IT Support has existed as a service long before SAP was founded in April 1972, and over the years the types and methods have evolved, as has the scope of the services offered by SAP. 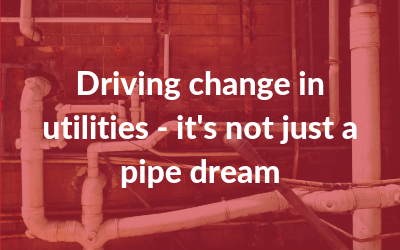 However, in the age of ‘Digital Transformation’, workforce mobility and fast-changing customer expectations, I’ve long thought that Support models are no longer ‘fit for purpose’. How often the customer is contacted during the lifecycle of an incident ticket, and what is that method of communication? What kind of tools are the users familiar with, and what can we provide the customer with to make their life easier? How can we make information available to the customer to help educate them and make them more self-sufficient and therefore less dependent on needing a Support provider to answer common queries? How can we ensure that the customer sees our service as truly adding value and benefit to their business, what can we give back to them that is of true tangible benefit that identifies incident trends and opportunities for process improvement or cost savings? Are there better ways and more effective ways to engage for ongoing help, advice and planning, besides face to face meetings? 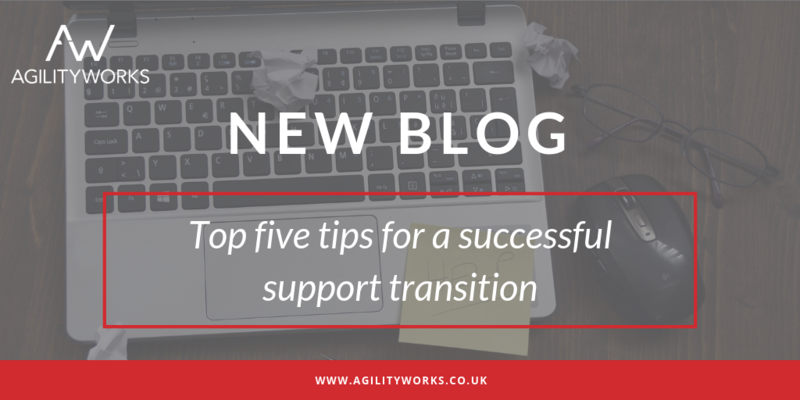 How can we provide continuity and consistency in the Support approach and resources in use? These questions seem obvious but are often overlooked by Support providers when they are considering how the commercial aspects of a model will work. By asking questions like this, you have the foundations to create a model with innovation built-in. So what aspects of Support can be innovative? Understanding clients requirements and translating them into a Support model is the prerequisite to ensuring client satisfaction which, in my view can only be achieved through having a deep understanding of SAP solutions, terminology and the ability to consider the likely internal and external influences that cause Support volumes and other demands on the service to fluctuate. Innovation in this area comes in being able to determine the requirements, asking the right questions and having an attention to detail that ensures all aspects are considered. One sometimes also has to creative in the solutioning of the model so as to provide a cost effective Support model including the use of algorithms for predicating future Support volumes. What will your IT strategy be in 3-5 years’ time? What do you think your SAP landscape will look like? What new software are you using? As most of us don’t have a crystal ball, it can sometimes feel uneasy that you have been tied into a multi-year contract with a specific level of anticipated usage. 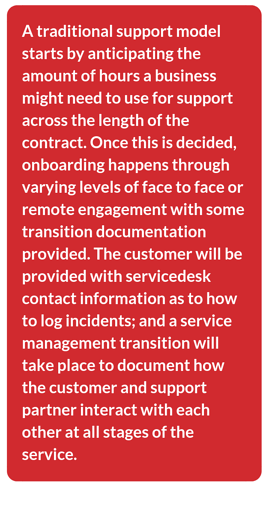 Innovation in a Support contract can be as simple as adding some commercial flexibility, so that clients are able to review their usage and change terms to suit their developing needs as well as be able to easily add and remove services as their business evolves or short-term challenges arise. 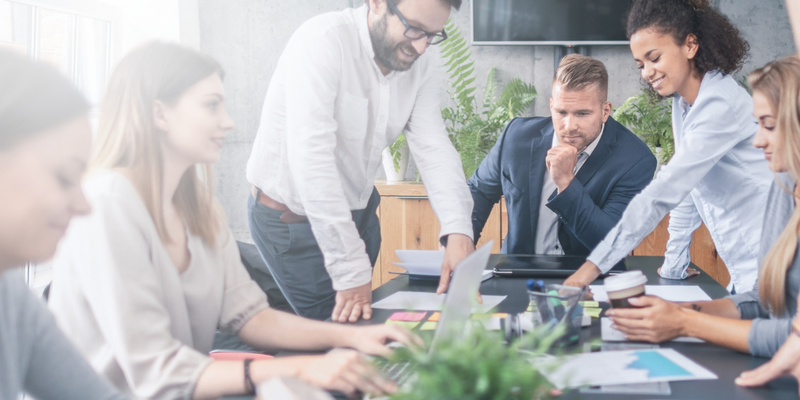 We all know that staff are a company’s greatest asset, so it seems an obvious opportunity for innovation in Support that we find a way to harness their knowledge, and equip them with a tool which means system users can solve the most common issues themselves. This way we are helping to provide an increase in use knowledge and a potential reduction in the dependency on needed Support partner to resolved the basic, less complex issues. In today’s society we are all pressured by time and so it’s important to consider what can be done to make customer’s lives easier and the overall Support service more convenient. This could be more direct routes to reaching consultants for Support help, easier access to service desk through tools with user friendly interfaces that be used anywhere at any time. Service management and ongoing engagement with Support clients is key to the service running smoothly. This aspect of the service can be innovated through looking at the way in which management data is created and provided to clients using the latest technologies available and techniques for providing insightful feedback that may positively influence the future roadmap, call volumes, user satisfaction, user knowledge and of course Support charges. What should you have taken from this blog? 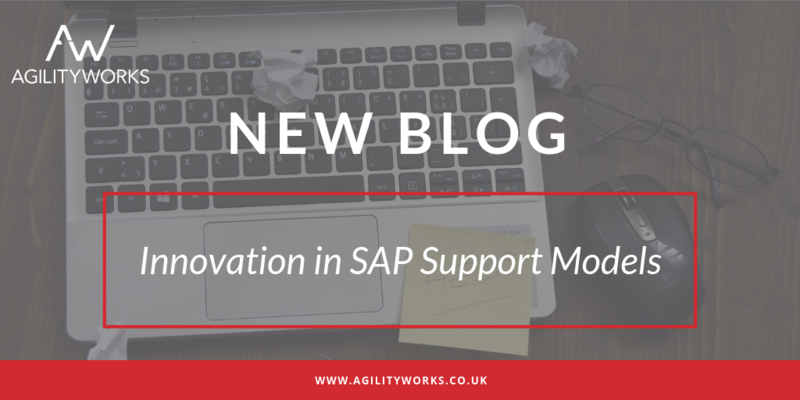 The SAP landscape rarely stands still and nor in turn can a Support model. In order to remain relevant and effective it needs to evolve and innovate on a regular basis with new services added, bringing greater value, effectiveness and levels of collaboration to the client. 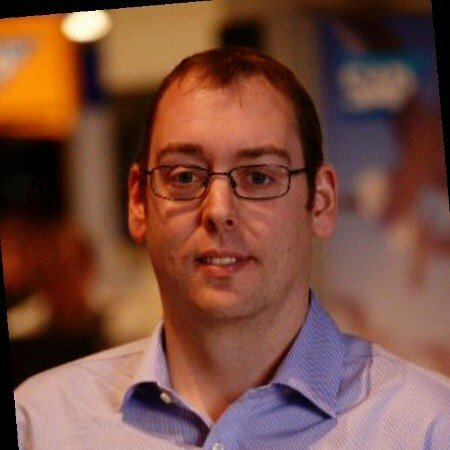 Stuart has over 20 years of SAP experience, and has spent many of those years managing teams as well as shaping and selling support models. He is the primary owner of our Support service catalogue and is responsible for designing and establishing all aspects of our support services. 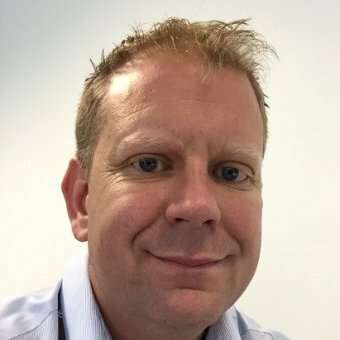 Stuart’s focus is to work with clients to understand their ongoing SAP support and business needs as well as to develop new client relationships to grow our support customer base. When not at work, his time is kept busy with his two sets of twins!